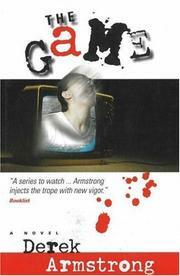 Have you heard the one about the dogged detective chasing the brilliant serial killer who’s into games? Alban Bane, a crusty Vermont cop with a super-sleuth rep, handles the letter gingerly. It’s been personally delivered, a courtesy that spells obvious danger, or at least an obvious plot twist. And it’s suitably terse, reading only, “Welcome to the Game.” Before the game begins, however, hold for a subplot. In a remote, castle-like mansion, once the home of an infamous Vermont mass murderer, Real TV is producing a reality show titled Haunted Survivor. The idea is to imprison a dozen people, scare them silly (snakes and things), film each meltdown with hidden cameras and pay $1,000,000 to the last contestant standing. “Survivor meets Fear Factor” is how it’s being marketed. Bane is on the set because someone’s been decapitated. Other decapitations follow in due course. Are they the work of the grisly gamester? True enough, there’s a subsequent letter in which Bane is taken to task for not being an adroit enough player. But how about these militia guys in the Green Mountain Freedom movement? Bane wouldn’t put it past them to murder for the sake of publicity. Suddenly there’s a multiplicity of games in town. The latest from Armstrong (The Last Troubadour, not reviewed) contains a hokey plot and clunky writing. Take a pass on this one.